Our industry leading range of expanded metal meshes are crafted with over 100 years of experience and manufactured in the UK. All of our standard products are available for next-day delivery or collection. Can't find what you are looking for? Why not contact us to discuss your own unique requirements? We endeavour to always push existing engineering and client service boundaries. Our sample and voucher system is another key example of how we want to achieve this. 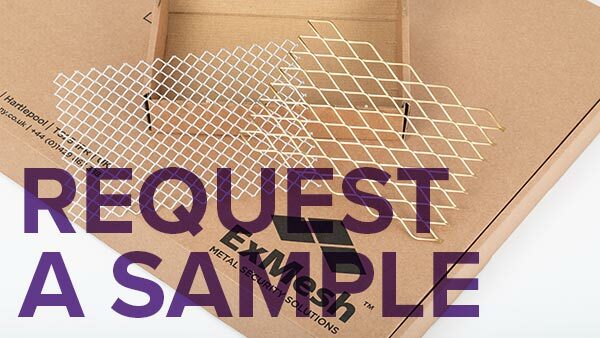 Pay a low cost to have one of our samples sent to you and you’ll also receive a unique voucher code. If the sample is right for your project, return to the product page and enter the sample voucher code at the checkout. The sample cost you previously paid, will then be deducted from the total cost of your final order. Please note that the voucher code must match-up with the product you purchase.